Garden Plots Available at Hardy Park! Sorry, but you missed the window to csign up for a garden plot. April 22nd was supposed to be the last day. Plots were assigned on a first-come, first serve basis. You will be notified of your 2019 plot assignment by April 26. 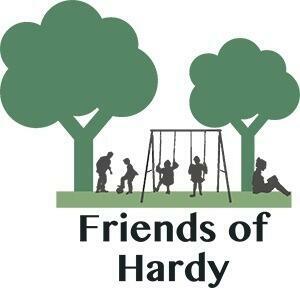 Join Friends of Hardy (FOH) at the gardener member level. Participate in the Hardy Clean-up on Saturday, May 4, 2019, from 9 am – 12 pm. We will weed, mulch, prune, remove debris to spruce up all areas of the park, including the garden plots. Then celebrate at the after-party: a picnic potluck from 12 pm – 4 pm, at the Hardy Recreation center, sponsored by the FCCA. All neighbors welcome! Once assigned a plot, maintain your plot over the growing season: water, weed, and harvest regularly. Help your fellow gardeners as you are able. Clean out your plot by mid-November. Friends of Hardy community garden plots are located at the Hardy Park and Recreation center at 4500 Q Street, NW. Individual plots are approximately 4’x6′.